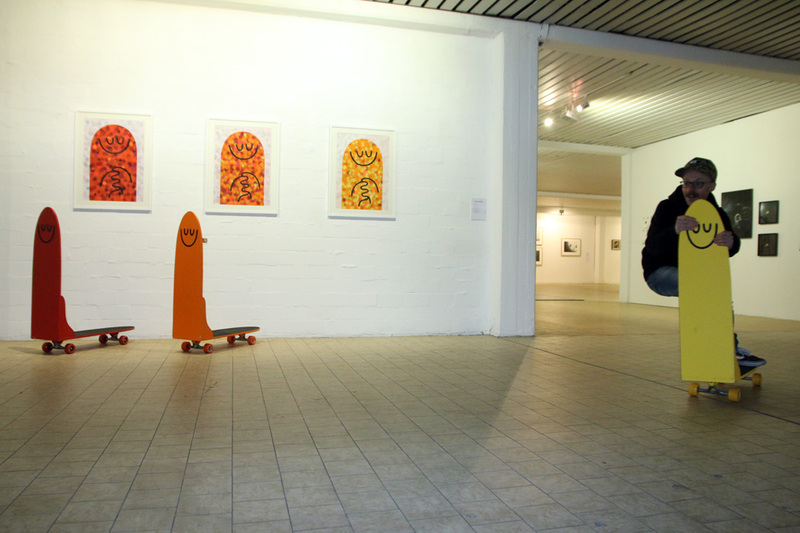 ART & DESIGN, BOARDS & BIKES — 10/03/2016 — by Christian H.
“When offered a spot in a surf/skate art show in a 1000 square metre gallery, I knew I had to create something that would make use of the space. I chose to build wooden scooters, equipped with longboard trucks and wheels. Skateboarding is said to come from surfing, but much more likely is that it was born from the box crate scooter. Take a pair of roller skates, attach them to a length of wood, and then nail a wooden fruit box to the front to act as handles. It is believed that when the boxes broke off the kids would keep ridding the plank on wheels – the first skateboards! My plan was to take us back to the old, old school by building my own scooters. Scooters can be ridden by all, regardless of age or skill. Parents with their kids, old ladies in high-heels, and people in various states of impairment all rode the scooters at the opening party. I also built these scooters to poke fun at my fellow skateboarders (we HATE scooter riders, and wish to deny the uncool parentage of our sport) and to create a little chaos in the gallery. 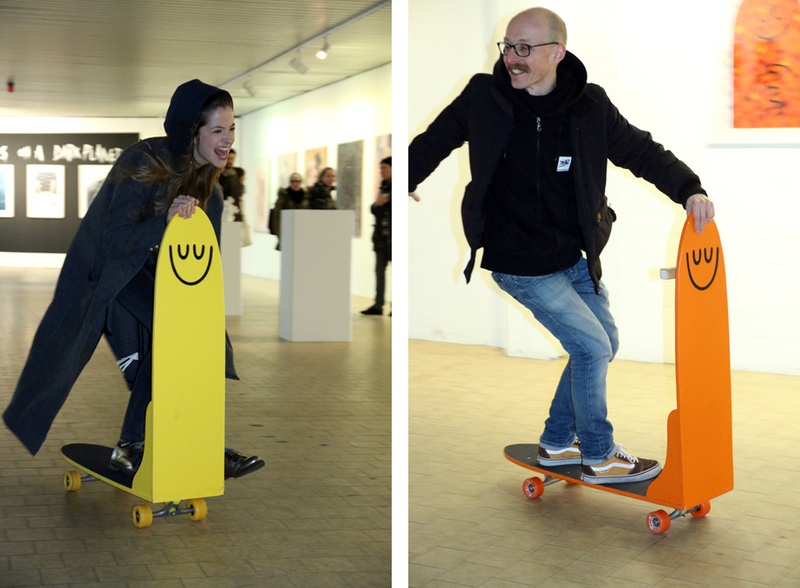 There’s nothing more likely to upset curators and artists alike than to have people zooming past 2000 euro sculptures at high speed on skateboards! 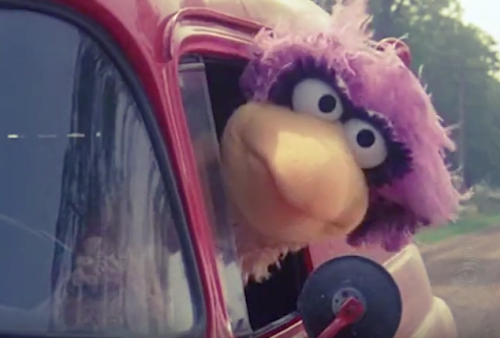 The title of the piece comes from my good friend Sami Seppala of the Fast Skateboard Wheel Company. I once asked him how he was feeling after a night of heavy drinking, and he replied that he was “slower than my own shadow”. The deck of the scooters are the same size and shape as the upright section, and thus the black griptaped deck creates a “shadow” that follows the character wherever it goes. 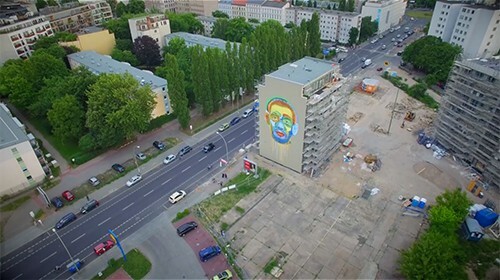 20/07/2015 — by Christian H.
The duo’s first large scale mural in Berlin (on 350 m²) reflects their love for collage and screen-printing.